In March of 2003, a coalition of countries headed by the United States invaded Iraq. Two months later, President Bush declared the end of major combat operations. 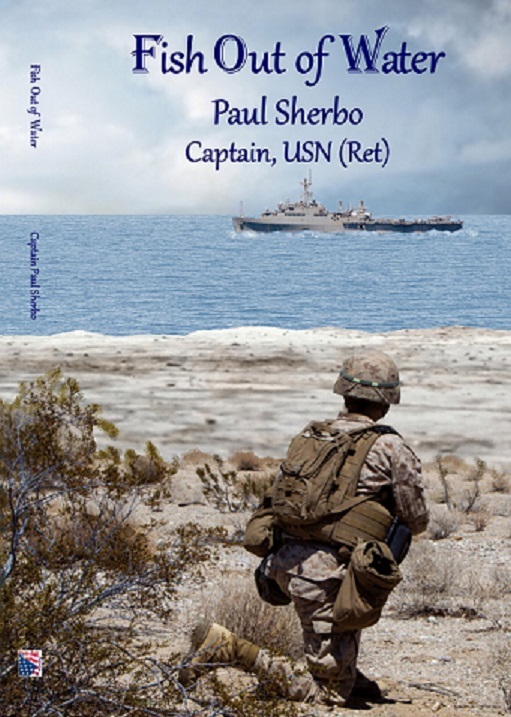 It was almost a year later that the Navy recalled Paul Sherbo to active duty. At that time, one of Paul’s fellow Reservists was sure the war was winding down and Paul would be home in just six months. It wasn’t winding down. He was not home in six months. Admitting he was "not one of the 19-year-old American warriors kicking in doors in Fallujah," it was nonetheless an expedition into unfamiliar territory. "I began this journey as a married father of three in my early 50s with a good job, a transplanted Iowa boy living and working in the Denver area. I was a captain in the Navy Reserve with a decent amount of sea-time on active duty behind me. None of this prepared me for a ground war insurgency in a desert." Hardcover Retail Price $26.95 Author Paul Sherbo has added new information and exhibits in this beautiful hardcover edition, 6x9, navy blue cloth bound with gold lettering on the spine, wrapped with an attractive dust jacket. Shipping Pricing relative to location, calculated at check out. 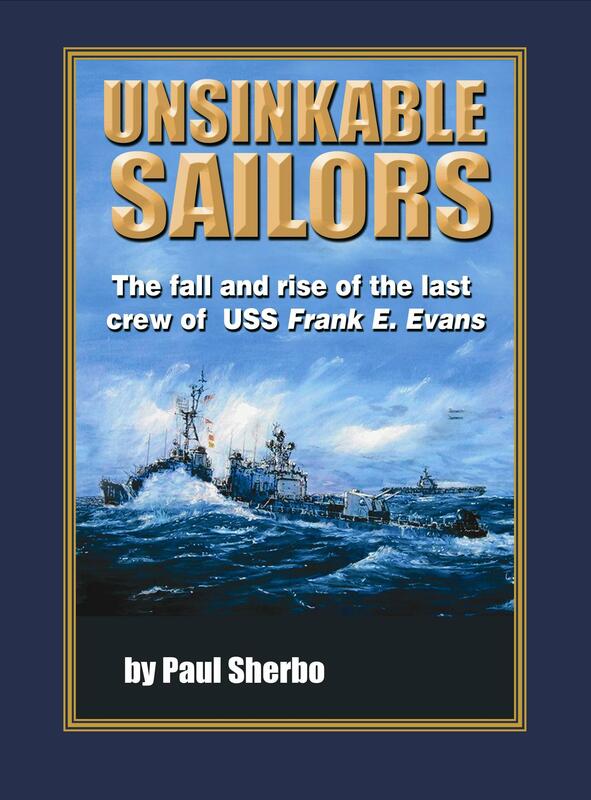 Unsinkable Sailors: The fall and rise of the last crew of USS Frank E. Evans, is a history of the June 3, 1969 sinking of the destroyer USS Frank E. Evans. Using official documents and survivor interviews, the author has compiled the first comprehensive American account of the tragic 1969 collision at sea in which the Evans was struck by the Australian aircraft carrier HMAS Melbourne. The author describes in detail the actions leading up to, during and after the catastrophic incident as told by survivors and witnesses from both ships involved. Operating as part of a combined force with the Royal Australian Navy and other allied naval ships, the Evans executed a starboard turn into the path of Melbourne at 0315 a.m. on June 3, 1969. Melbourne cut the Evans in half. The destroyer's broken bow sank almost immediately, taking 73 sailors with it to the bottom of the South China Sea. Only one body was recovered in the aftermath of the collision, bringing the total lost to 74. Throughout the book, the courage and heroic spirit of both ships' crews are testimony to their bravery despite the confusion, chaos and sudden death. PaulSherbo.com is a Patriot Media Inc. Patriot Media Online Publication. ©Patriot Media, Inc. 2009-2016. All Rights Reserved.